This year, Valentine’s Day falls just short of landing on the weekend, but there are still lots of Valentine’s activities for you and your loved one in store around Acadiana. Date night events range from swamp tours to symphonies. As always, there are tons of cultural events for those of us looking to just grab a drink with friends or watch developing dancers collaborate. I hope you have fun with people you love! 2/15: Valentine’s Date night: Board and Brush in Youngsville will host a unique date night for this particular woodworking art class. Attendees can choose their own wooden sign from Board and Brush’s gallery of more than 100 designs and pick their own paint colors. Tickets are available at boardandbrush.com for $65. Class starts at 7 p.m. Registrants must be at least 16 years old. 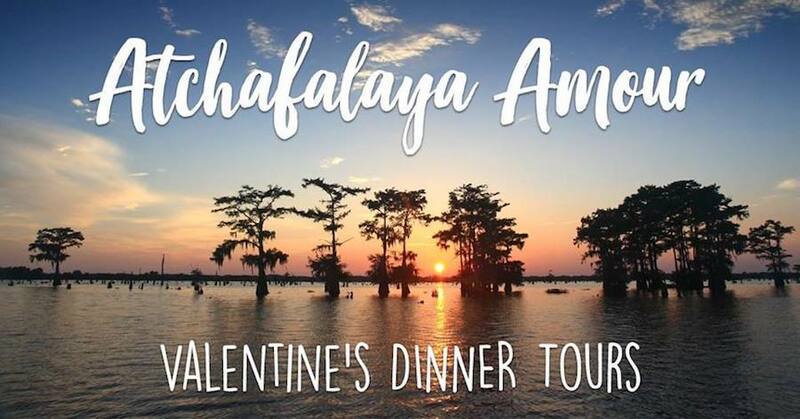 2/15: Atchafalaya Amour: Looking to enjoy Valentine’s weekend out of your element? McGee’s Swamp Tours in Henderson will take you on a cruise to witness the Atchafalaya at sunset that includes dinner for two, wine, live acoustic performances, a framed photo and a single rose. Seven couples can embark on the cruise per night Fridays and Saturdays for the remainder of the month. An additional tour is scheduled for Sunday the 24th as well. Tickets are $149 per couple. To book, call McGee’s at (337) 228-2384. 2/16: Nachmo Lafayette Showcase: Basin Arts will celebrate National Choreography Month (Nachmo) with a performance of works-in-progress pieces from emerging choreographers, dancers and film-makers in Acadiana. Nachmo is an annual challenge that inspires dancers and choreographers to create by providing a month-long period to create with peers. Suggested donation is $10. Doors open at 7 p.m.
2/17: Love Actually: This Sunday at 7 p.m., the Acadiana Center of the Arts will host the Acadiana Symphony Orchestra for a performance of love songs. The ASO Chamber Orchestra will perform a variety of songs from artists like Vivaldi, Bob Dylan, Leonard Cohen and more. Space is limited, but tickets are available at acadianasymphony.org. General admission is $37.50. 2/17: 2019 Guinness Tasting Dinner: Warehouse 535 will host this annual fundraiser for the Celtic Bayou Festival this Sunday from 5:30-8 p.m. A team from Guinness as well as Warehouse’s own Tony Davoren will provide a variety of ales. The winners of the 2018 Guinness Cook-Off and Bailey’s Bake-Off will provide two of the courses of the four-course meal. Attendees can look forward to a starter, appetizer, entrée and dessert paired with four Guinness brews.